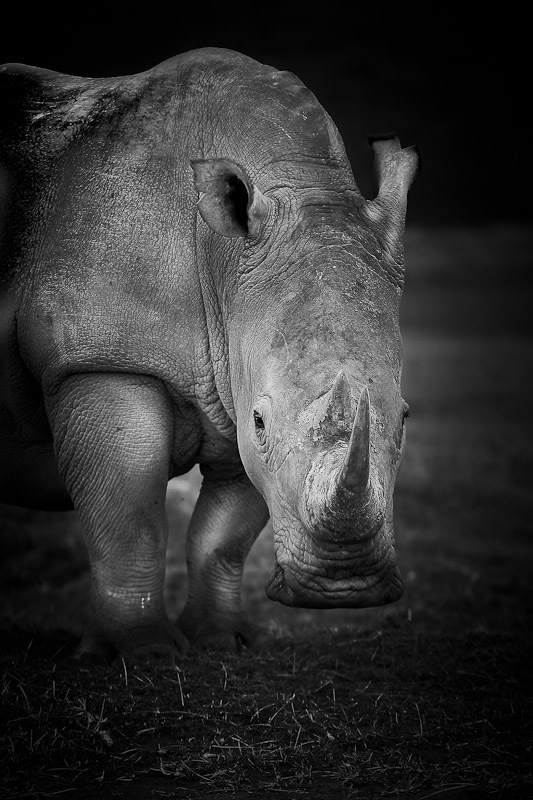 A white rhinoceros looks up from its grazing and glares in our direction. Rhino have very poor eyesight, so it is unlikely he really saw anything more than the large white blur of our Land Rover. Lake Nakuru, Kenya.